Dr. Smith is Director of Cervical Cancer-Free Coalition, providing the initiative strategic leadership. Dr. Smith is an Associate Professor of Research in the Department of Epidemiology at the UNC Gillings School of Global Public Health. Dr. Smith’s research over the past 15 years has focused on epidemiological studies of HPV infection and cervical cancer worldwide, with a focus on prevention via screening and prophylactic vaccines among women with limited access to care. Dr. Beth Meyerson is an Assistant Professor of Health Policy and Management and the Co‐Director of the Rural Center for AIDS/STD Prevention at Indiana University. Beth recently joined the faculty after serving for 13 years as President of the Policy Resource Group, LLC; an Indianapolis firm specializing in health policy research and strategy with domestic and international emphases. Dr. Meyerson’s work is informed by service as the AIDS/STD Director for the state of Missouri followed by years of work in private and non-profit sectors in St. Louis, Indianapolis, St. Petersburg, Ann Arbor, and Boston. She specializes in HIV and STD public health programs and policy with focus on building the capacity of governments and communities to engage in policy development, evaluation and strategy. Dr. Meyerson’s research interests include the structural barriers to health or disease prevention, health policy capacities in communities and among health professionals, and social constructions of and by health policy target populations. She has worked in Kenya, Nigeria, Botswana, India, Russia and throughout the Caribbean. Dr. Meyerson is the author of several papers and a book on the history of U.S. Public Health Advisors. She is also a children’s author and poet. Beth lives in Indianapolis with her family. Noel Brewer, PhD, is Associate Professor of Health Behavior at the UNC Gillings School of Global Public Health. Dr. Brewer is an expert in medical decision making who studies risk communication about vaccination as well as the psychological impact of medical tests. 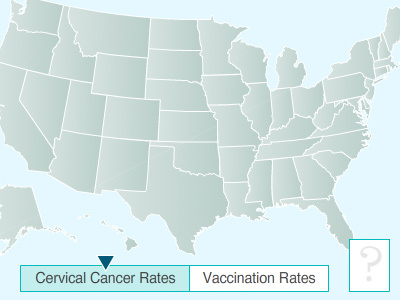 Dr. Brewer’s Lab has done extensive work on HPV and cervical cancer prevention. Leah Devlin, DDS, MPH, is a Gillings Visiting Professor at the UNC Gillings School of Global Public Health. Prior to joining the School, Devlin served as North Carolina health director from 2001 to 2009, after also serving as deputy state health director. She works with faculty, students and staff throughout the School to effectively talk with state leaders and residents about the many ways the School can and does serve North Carolina. She previously served as chief of the chronic disease prevention and control section at the NC Department of Health and Human Services. She also served as Wake County Health Director ten years. She is also a member of the North Carolina Institute of Medicine, the Women’s Forum of North Carolina and president of the North Carolina Public Health Association. She has co-chaired the North Carolina Child Fatality Task Force, and served as past-president of the Raleigh/Wake County Dental Society and the North Carolina Association of Local Health Directors. Evan Myers, MD, is Chief of the Division of Clinical and Epidemiological Research for the Department of Obstetrics and Gynecology, Senior Fellow at the Center for Clinical Health Policy Research, and faculty development program. Dr. Myers is a Professor of Obstetrics and Gynecology at Duke and an Adjunct Associate Professor of Epidemiology at the University of North Carolina at Chapel Hill. His primary research interests are in the application of clinical epidemiological methods, including decision analysis, cost-effectiveness analysis, and other mathematical modeling techniques, to women’s health research. He has worked extensively on modeling the health and economic impact of HPV vaccines. Sara Smith supports CCFC and its partners through project management, coalition building, development, evaluation and other efforts related to CCFC’s goals. She comes to CCFC with experience in evaluation and assessment work on cervical cancer screening and HPV vaccination. In addition to her role with CCFC, Sara also manages a mixed methods Multi-site HPV Vaccine Acceptability Study examining acceptability among mothers of adolescent girls and HPV vaccine providers in five countries.